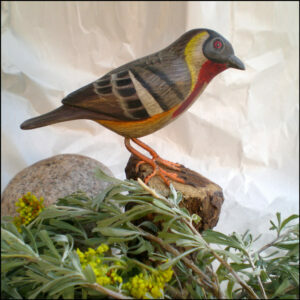 These carvings are so precious they become collectibles. 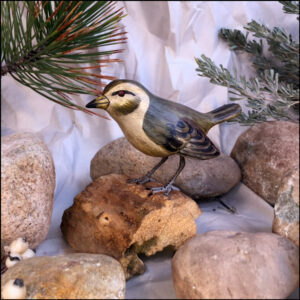 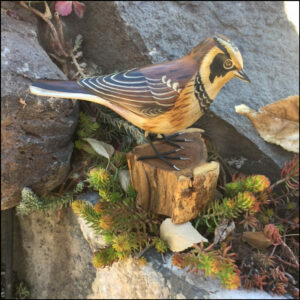 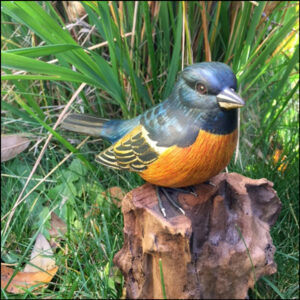 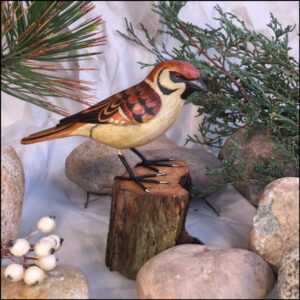 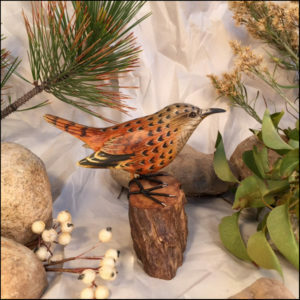 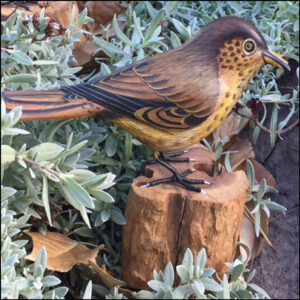 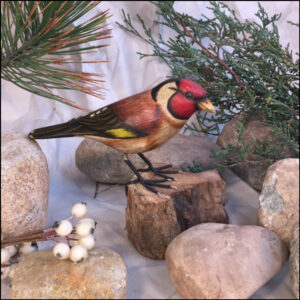 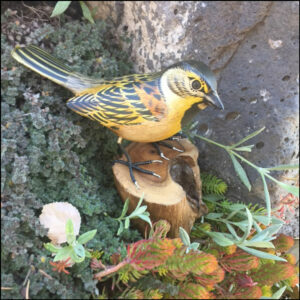 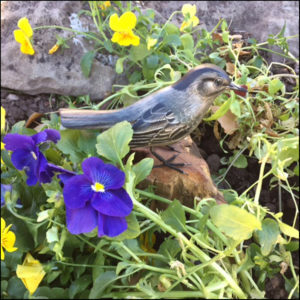 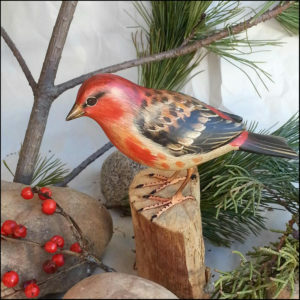 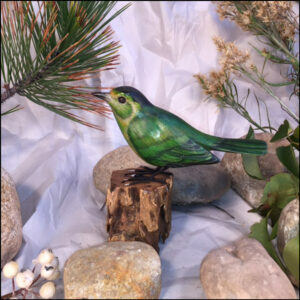 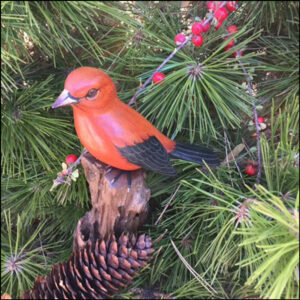 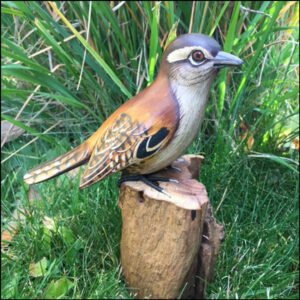 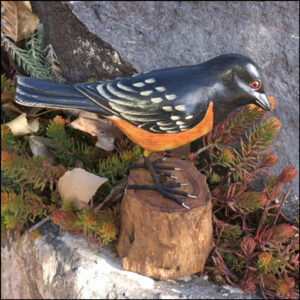 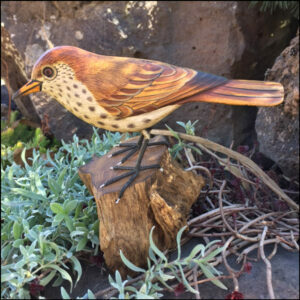 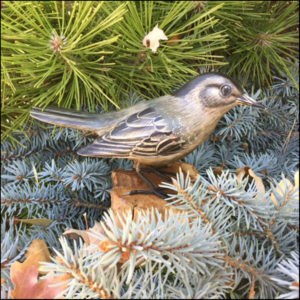 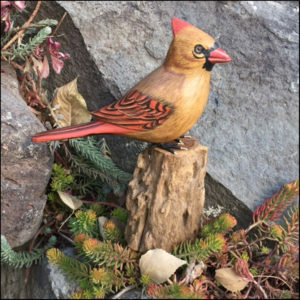 This collection features over 90 carvings, so if you’re looking for a way to express your love of birds or you need the perfect gift for a bird lover…look no further! 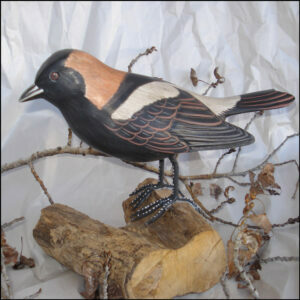 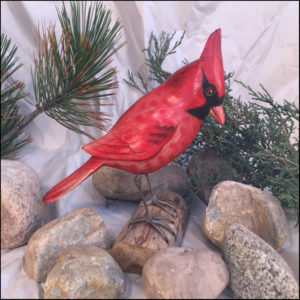 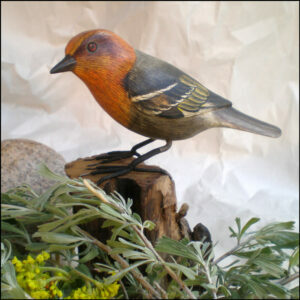 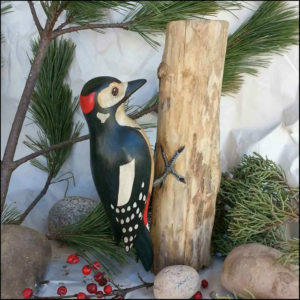 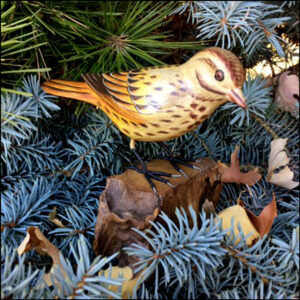 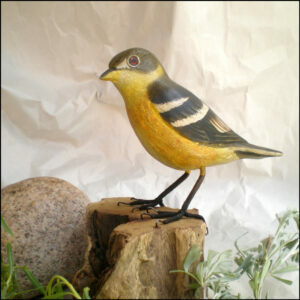 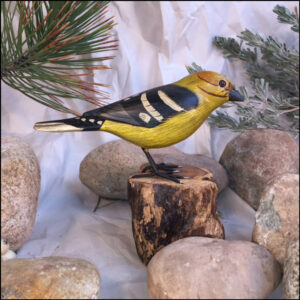 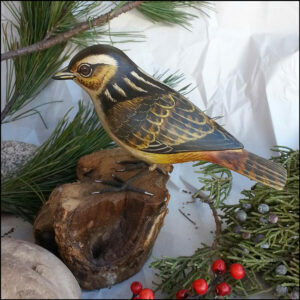 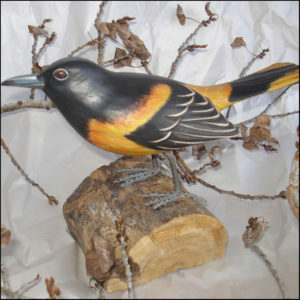 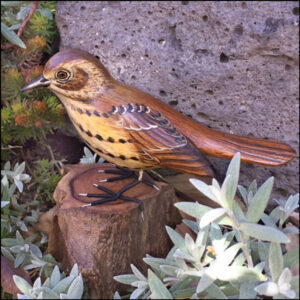 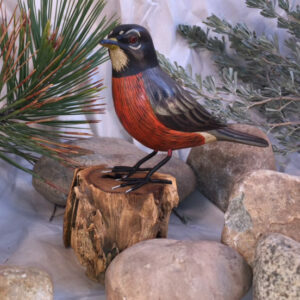 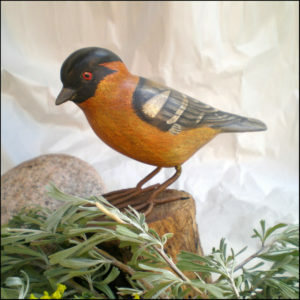 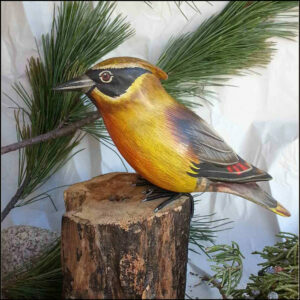 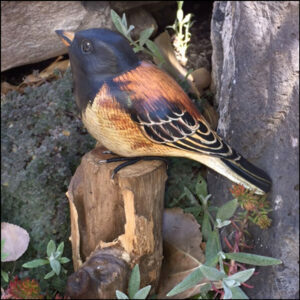 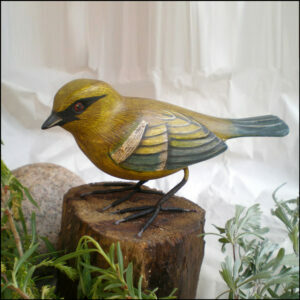 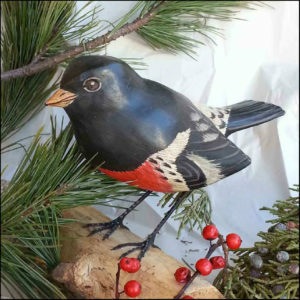 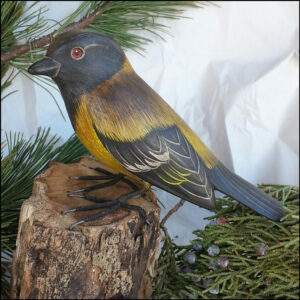 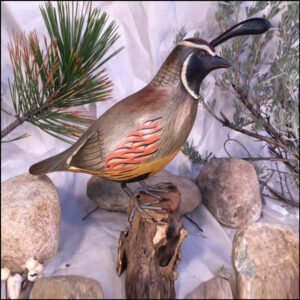 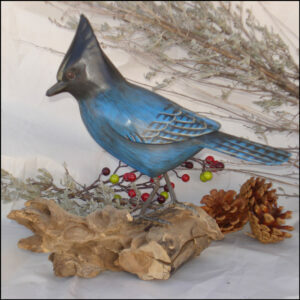 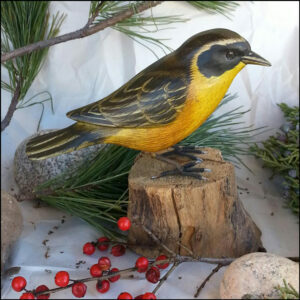 Each piece is hand-carved out of Aspen wood and then painted with very fine detail. 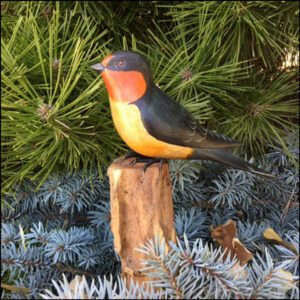 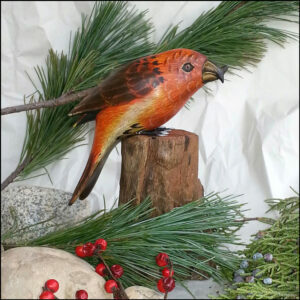 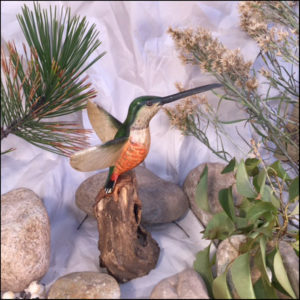 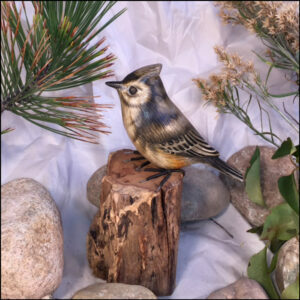 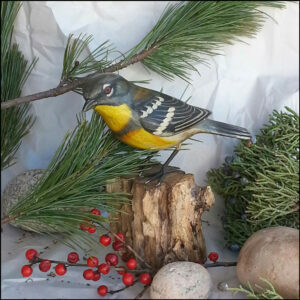 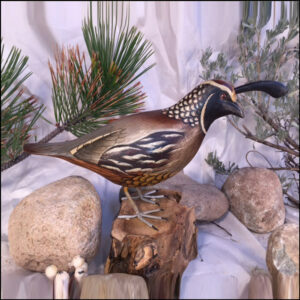 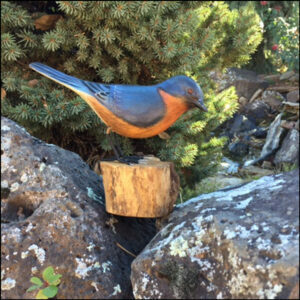 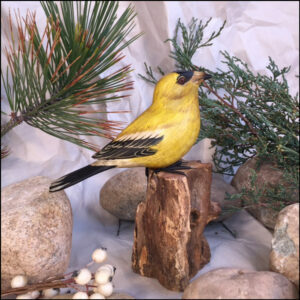 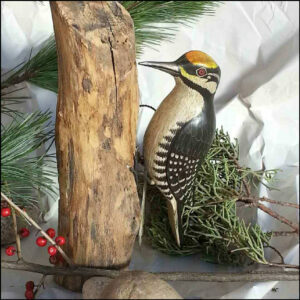 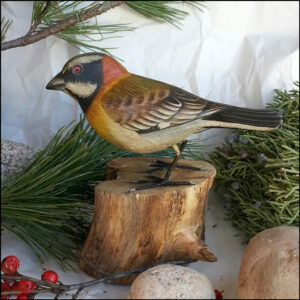 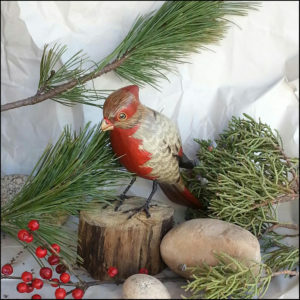 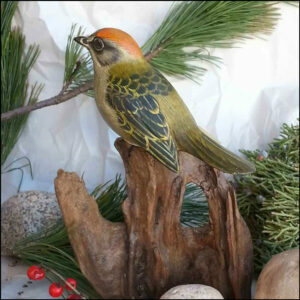 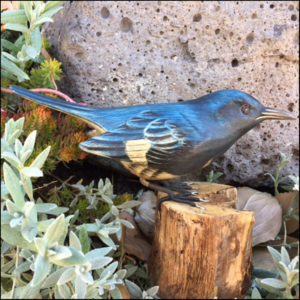 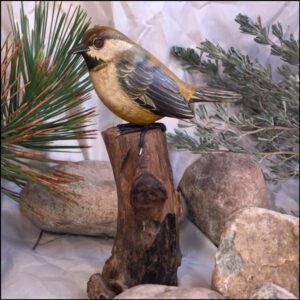 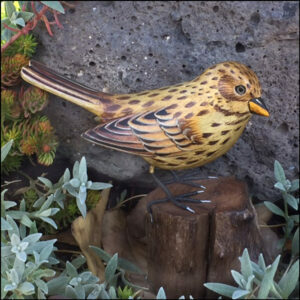 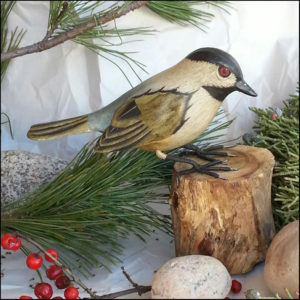 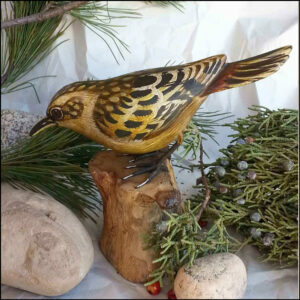 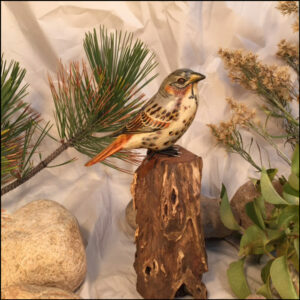 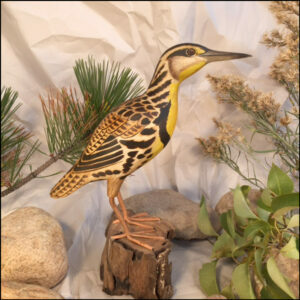 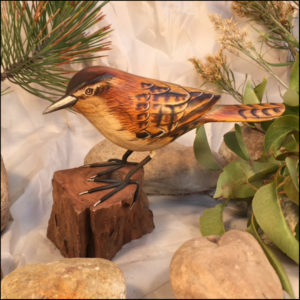 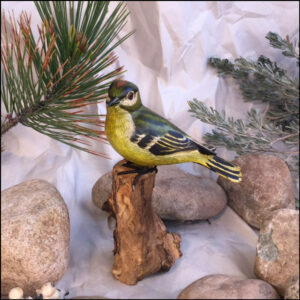 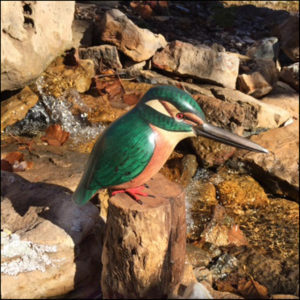 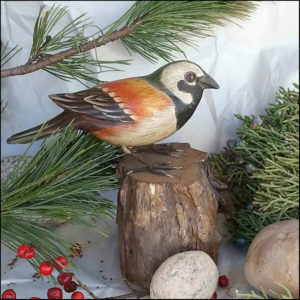 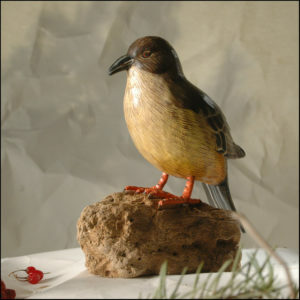 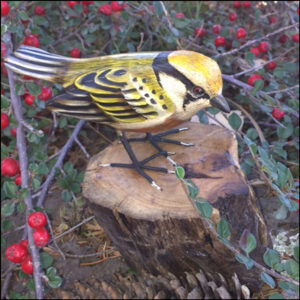 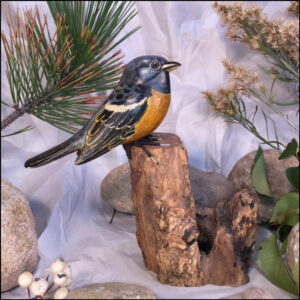 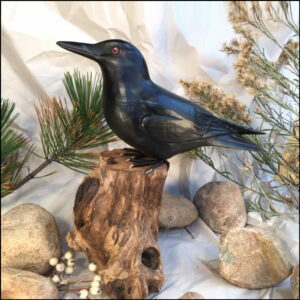 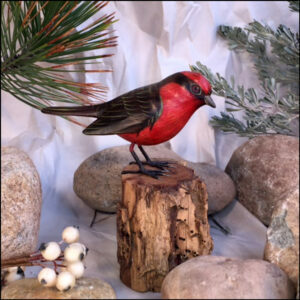 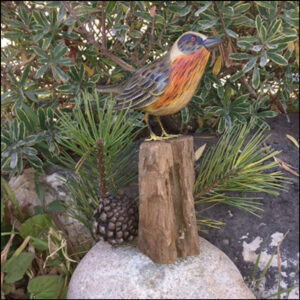 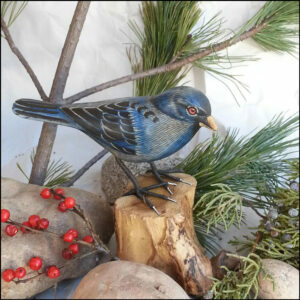 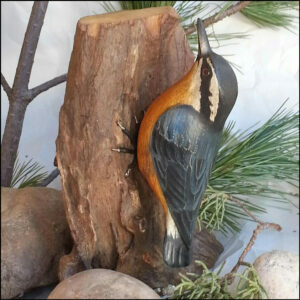 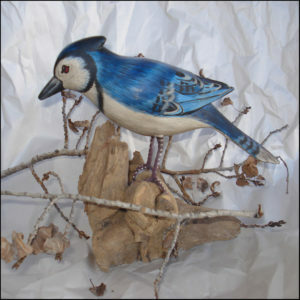 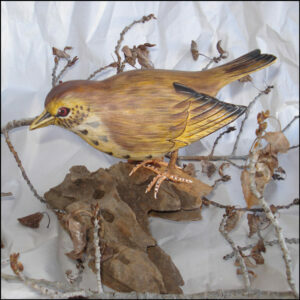 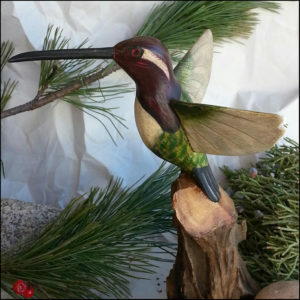 We then wax the carvings and as a finishing touch, the bird is mounted on a unique piece of driftwood. 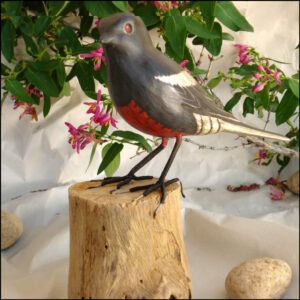 The finished product is a beautiful work of artistry and craftsmanship. 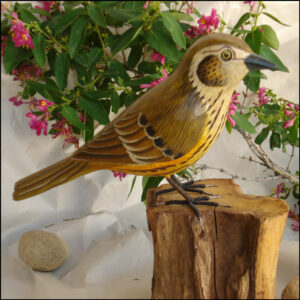 All pieces are hand-carved from Aspen wood. 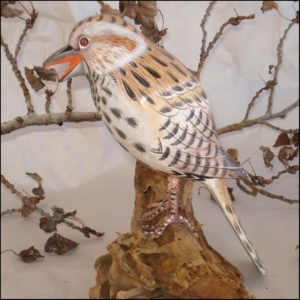 Variations in color and markings are to be expected due to the natural characteristics of wood.